In the course of a public roundtable discussion about immigration and crime, a few days before Shavuos, President Trump made a comment that provoked some outrage. Because had the critics taken the time to examine Mr. Trump’s comment in its context, they could have based what comments they had on facts, not assumptions. But, no doubt recollecting some of presidential candidate Trump’s harsher campaign declarations about Mexicans, Muslims and others, some of those who see him as a danger to democracy didn’t look at what he actually said but, rather, chose to suppose. The Trump-Hitler comparison became a meme of the moment in certain parts of the social media planet. The president took delight in exposing the overreaction, since his “animals” comment was clearly made with reference to violent criminal elements, some of whom have committed unspeakable acts of murderous, cruel violence. Earlier at the event, Fresno County Sheriff Margaret Mims had referred to the violent criminal gang MS-13. While the gang started in Los Angeles and includes many American citizens, its members are ethnic Central Americans, and the need to prevent suspected members from coming across our border illegally is a no-brainer. But I still have an objection to the president’s characterization of violent criminals. My family has played host at various times to a goat, an iguana, assorted rodents and a tarantula. (Witnessing the large spider’s shedding of its skin to emerge with a new, radiant one is an unforgettable experience.) I exult at watching the inhabitants of my aquarium (we recently welcomed new brood of baby guppies and mollies – mazel tov! ), and the birds, squirrels and deer that pass our way are always appreciated. 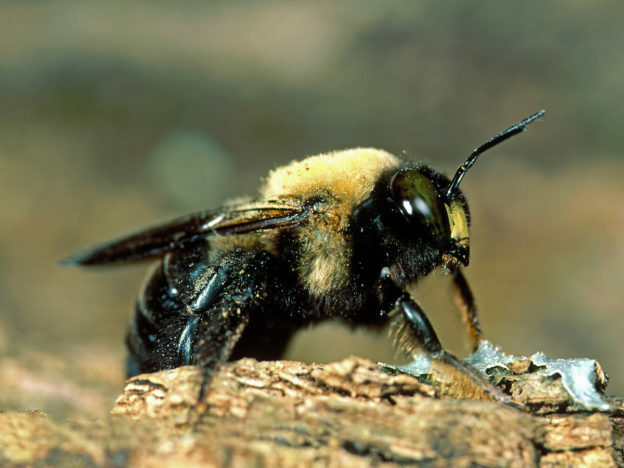 I recently watched a carpenter bee excavate a perfect circle on the underside of the wooden maakeh on our deck, knowing that she will abruptly turn at a right angle to continue her tunnel horizontally, and create a tunneled-out bedroom for her progeny. The wonders of the world Hashem created are ceaseless, and the amazing behaviors of the countless creatures He placed on earth, if viewed with honest eyes, must astound. And each of those behaviors is ingrained in the species. To be sure, some are violent; Tennyson’s observation of nature’s being “red in tooth and claw” holds true. But animals who kill do so for food or survival, and act out of instinct, not as a result of choice. Unlike humans, who can never be deemed innocent of horrific crimes on the claim that they were compelled by their nature. The specialness of the human lies in his ability to resist base inclinations, to use the astonishing gift we have been given: free will. Calling a human who has made a choice to act cruelly or to wantonly maim or kill others an animal does an immense disservice to the animal kingdom, whose members do what they do because it is their immutable nature. And, worse, it subtly muddles the meaning of the outrage we should feel at human acts of violence or cruelty. We live in times when some contend that there is no qualitative difference between an animal and a human being, that we are as hard-wired and predictable in our behavior as any lion, tarantula or carpenter bee. The upshot of that view is a world where there is no more meaning to right and wrong than there is to right and left. That amoral philosophy stands in the starkest contrast to what the Torah teaches us: We are not animals but choosers, owners of our actions. He was just trying to express the depth of his contempt for people who have made the choice to profit from the torture and murder of others. The truest description of such people, though, isn’t “animals” but “choosers of evil,” something more heinous by far. This entry was posted in issues of morality or ethics, Jewish Thought, News, Personal Reflections on May 31, 2018 by Rabbi Avi Shafran.